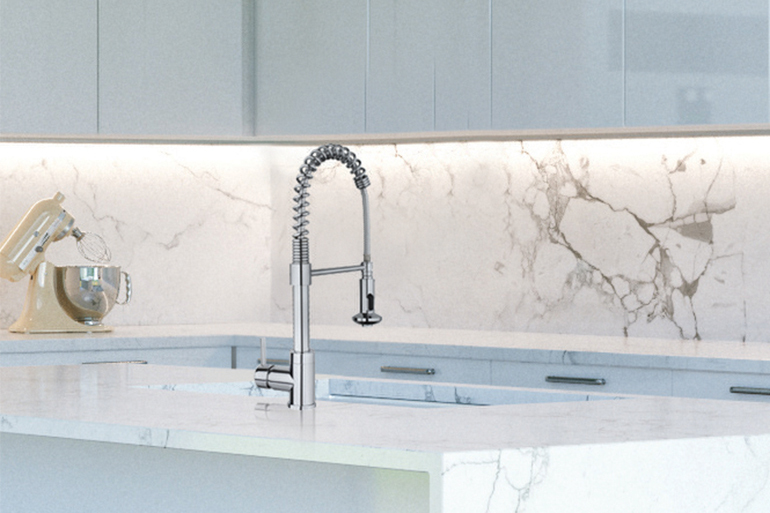 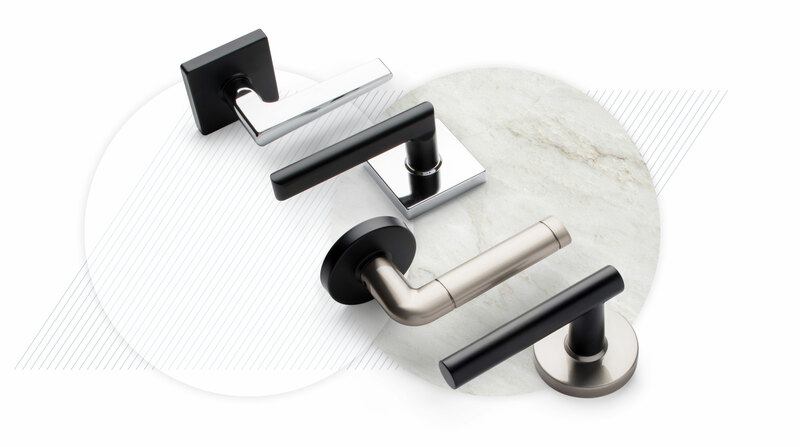 New products, especially fixtures and fittings that respect the responsible use of water, such as our Dixon bathroom faucet, are helping our population to be significantly more efficient in conserving the world’s most precious resource: water. 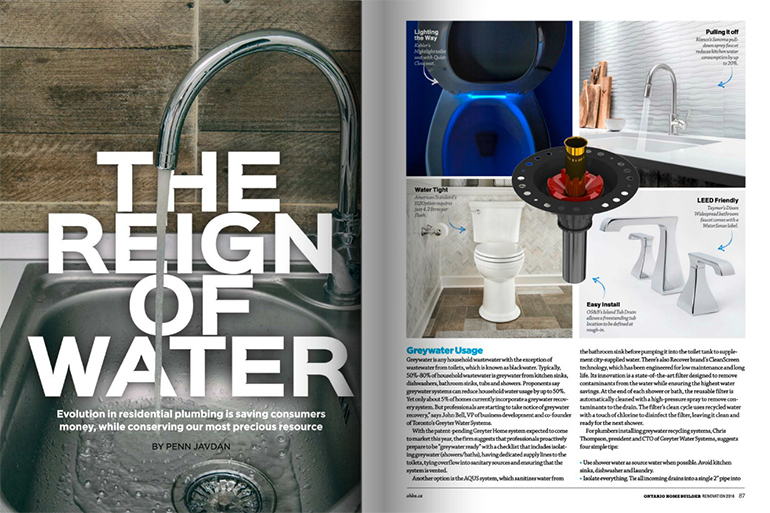 In the Spring 2016 issue of Ontario Homebuilder magazine, “The Reign of Water” article sheds light on the evolution towards increased efficiency in residential plumbing. 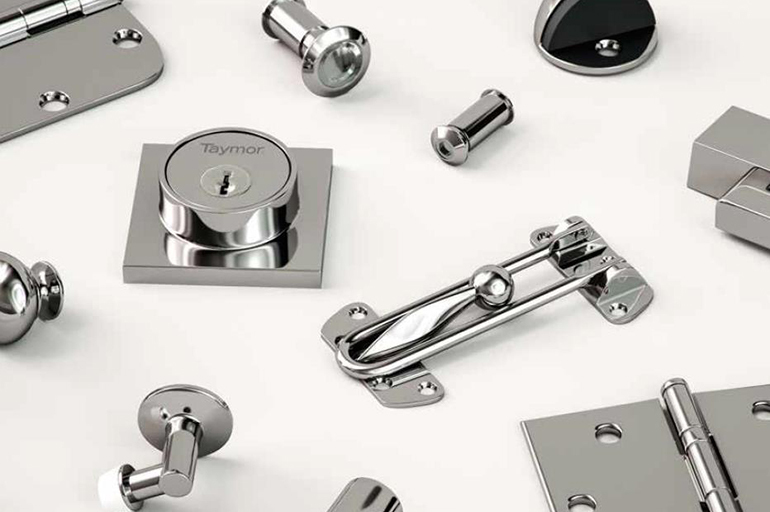 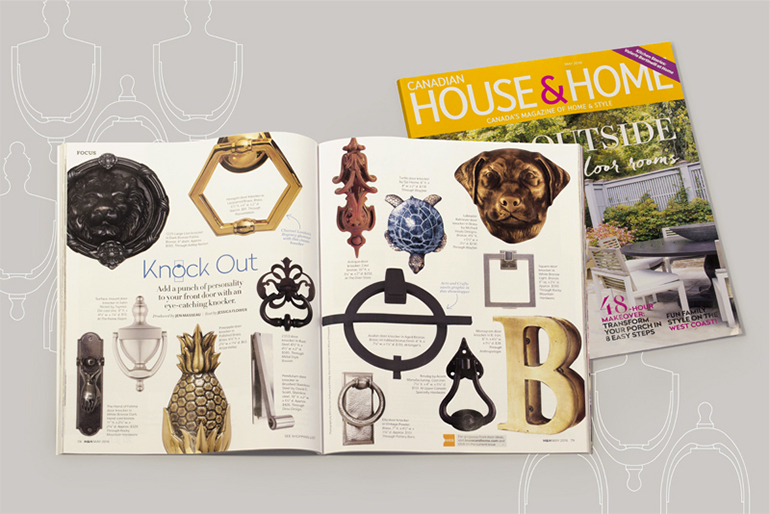 We are happy to be featured in the May 2016 issue of House & Home magazine on a “Knock Out” spread showcasing standout doorknockers. 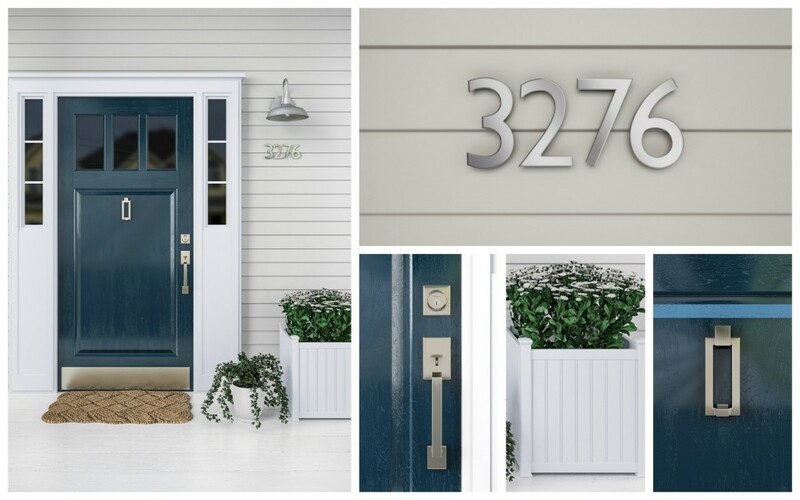 Perfect for the most elegant and refined entrance, our eye-catching Heritage knocker adds a punch of personality to your front door.